In the past, harana was the courtship tradition, letter sending was the usual communication, and bahay kubo was everybody’s home. Today, couples court each other through texts messages, people contact each other through text and social media, and houses have evolved to be luxurious. 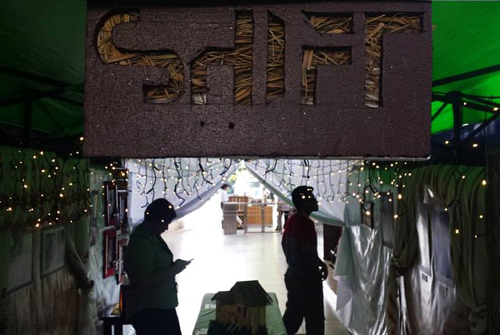 With the exhibit “Shift”, and spearheaded by Professor Mike Manansala, the AB Multimedia Arts (MMA) students sought to compare and show the shift of the culture of the Philippines from past to present in relation to the changes in food, architecture, films, ways of courting, technological advancements, and communication. The exhibit showcases the creativity of fourth year ABMMA students through various media such as Digital, Photography, and 3D sculptures and models. To get a glimpse of the changes in our culture, visit the Multimedia Arts Exhibit at SISC’s College walkway from January 9-13 2017. Enjoy!